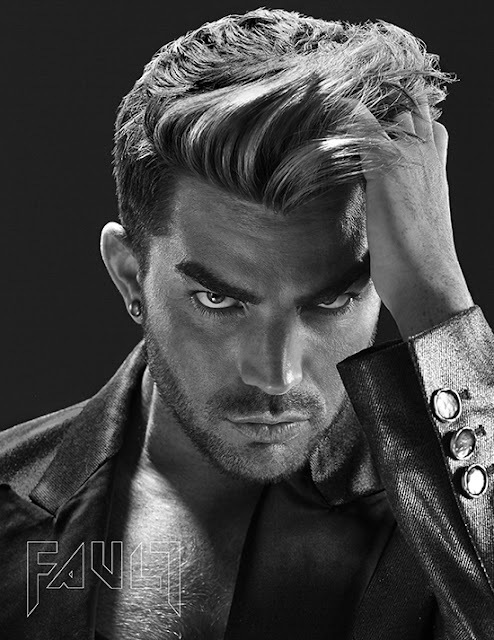 ➜LINK "Will Adam Lambert Attend Out Magazine's "Power 50" Event Tonight (8-10-17)?!! Via TooFabNews"
that there was STRONG speculation that Adam Lambert would be making an appearance at the OUT Magazine "Power 50" Awards event.. The first clue was given by Too Fab News earlier today (see link above ⬆) when they posted a photo of some influential LGBT community members, including Adam Lambert. 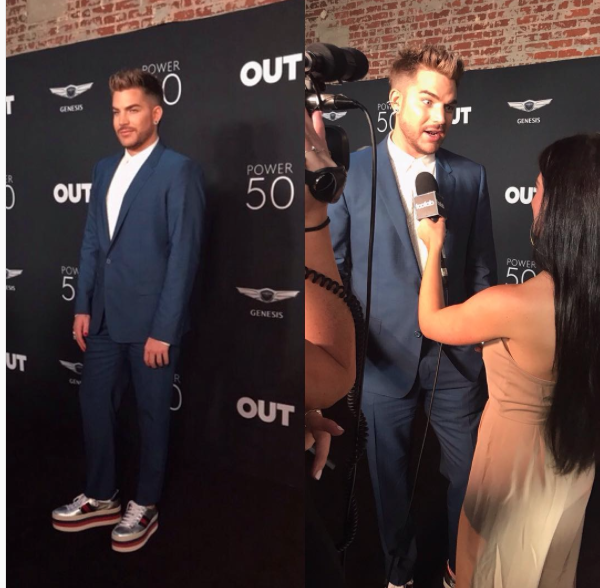 MORE PHOTOS & VIDEO Adam Lambert At @OUTMagazine "Power 50" Event "One of the most influential men [of] our time"
TooFabNews Instagram: "@adamlambert arrives on the @outmagazine #Power50 red carpet - interviews coming soon to TooFab.com! . . #adamlambert #lgbtq"
Haha... Adam's shoes! On him...somehow it just works! Adam dressed himself perfectly from head to toe. He doesn't need assistance from a stylist. Check out the cool shoes. Love the shoes but they don't complement the suit.